Angry Birds is a physics-based game. 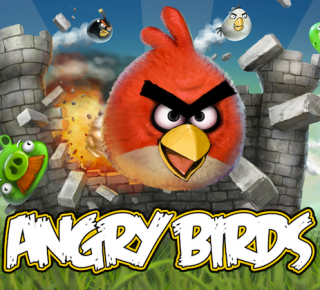 You dish out revenge upon the green pigs for stealing the birds' eggs by firing the Angry Birds at the green pigs' castles. "Casually, it's a great game that's simple and fun. When you get into trying to get three stars (sometimes to unlock things), it can be annoying." "I can't get past level 2, I get bored, I don't know why, I don't think I get it. This is definitely no "Shaky Tower"." "I've got 8 golden eggs!!!! Mom won't let me play more than three hours on weekdays :("